Come and Relax in Cayman Islands Style at the London House Condominiums. London House offers one- or two-bedroom, air-conditioned apartments with private patios or balconies overlooking Seven Mile Beach. For those looking for a great Stingray City Sandbar Snorkeling Tour, Captain Bryan offers two wide-body 50' sailboats for regular trips and special charters. Right on Seven Mile Beach but still less than a mile from downtown George Town, George Town Villas are luxury and nature in perfect harmony, where dreams become a reality. Located directly on Grand Cayman's impressive Seven Mile Beach, Harbour Heights, with its beautifully landscaped grounds and tropical decor, is the ideal destination for an unforgettable vacation. On the northern part of Seven Mile Beach, The Avalon Condominums are luxury oceanfront condominiums where warm hospitality and island charm are hallmarks! Located on Seven Mile Beach, Discovery Point Club is The destination for discerning travelers who want and enjoy the very best! Hop aboard for your own private 39' sailboat charter and Fly the Red Baron. Half and full-day charters - sail the warm Caribbean Sea and get your own attitude to windward. Along the northern end of Seven Mile Beach, you'll find the perfect place for relaxation: Silver Sands Condos. A whole new section on Car Rentals in Cayman - the complete list - including Budget Rent-a-Car in Grand Cayman. 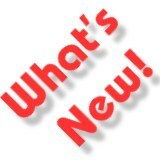 A new page for two condos which are "For Rent By Owner" has just been added. These condos are now available for direct booking with Neil Smith. Updated our master list of Where to Stay in the Cayman Islands. This is currently an alphabetically organized list of all accommodation in Cayman. Added a brand new page for Captain Frank's Watersports, (one of the founders of the CNWA) for snorkeling, fishing, lunching: A Day of Fun in the Sun on the Water! One exclusive Cayman feature we're proud to add for you is Pirate Poop, an on-going perspective on Cayman written by the West Bay Wench. Most of our initial work has been in the scuba diving section because this is a very important part of why many people visit Cayman. Two recent additions from East End are Ocean Frontiers, and Cayman Dive Lodge. Also, we've created a page for that most visited destination: Stingray City. And, we've even put up a few pages about some of our more interesting local fauna (animals), the Rays of Cayman.